New Bern NC private insurance adjusters for businesses, condo associations, and homeowners with Hurricane Florence flood, wind, and structural damage claims. Get a free claims evaluation. 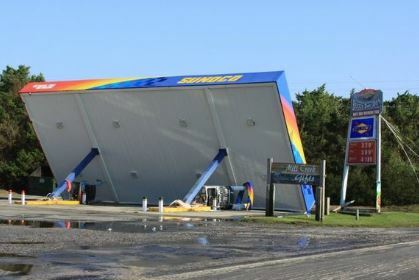 New Bern, NC commercial property damage insurance claim. New Bern, NC is a city in Craven County, North Carolina, United States. As of the 2010 census it had a population of 29,524, which had risen to an estimated 30,242 as of 2013. It is the county seat of Craven County and the principal city of the New Bern Metropolitan Statistical Area. Global Patriot Adjusters, a private insurance adjuster company, is currently helping homeowners with major hurricane damage from Hurricane Florence in Figure Eight Island, Hampstead, Holly Ridge, North Topsail Beach, Sneads Ferry, Surf City, and Topsail Beach North Carolina.